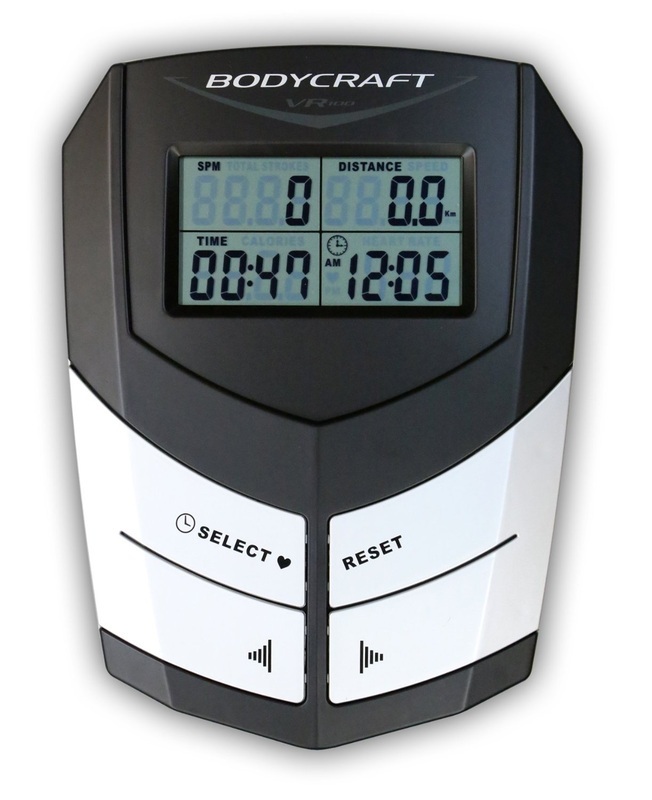 The BodyCraft VR100 looks impressive and for the price tag, you would hope it can deliver on its looks. But unfortunately it doesn't quite life up to expectation. It is a solidly built machine and feels sturdy enough when you sit on it. But you don't buy a rowing machine just to sit on. 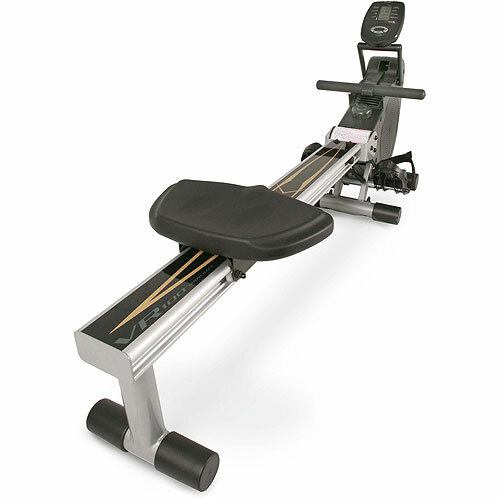 The seat is reasonably supportive and one of the widest we've seen on a rowing machine, but the foot braces move and make it difficult to row comfortably. You need a solid base under your feet to push and pull against, but even on the lower resistance levels these proved unfit for the task. The flywheel is very close to the track (the column you slide up and down on) which means you often bump it on the catch at the start and finish of the action (see rowing technique). This can cause you to slide on the seat and slip forward - not the best position to row! Of the six resistance levels we found only two that replicated anything like a good rowing action. The higher resistance settings are far too tough for even an experienced rower and therefore don't allow you to get into a rhythm necessary for a good workout. Many are tempted to use a high resistance, thinking it will make for a better workout, but better results can be achieved by getting in your heart rate training zone for at least 20 minutes - something you can't do if you're having to pull too hard.The lowest settings really don't offer much resistance at all and give you nothing to pull against. The best thing about the display unit is that it can be adjusted for easy viewing (See below - re new display). However, we question whether it's worth reading what it displays. It doesn't appear to display accurate information. We rowed 1000 meters using different resistance levels and it made no difference to the number of strokes it took to complete the distance. You would expect to row that distance with fewer long and powerful strokes than shorter, light strokes with no power - but it doesn't make any difference! So whether it's easy to read or use is not important as it won't give you accurate data about your workout. Update: The VR100 now has a new display and monitor (see right). 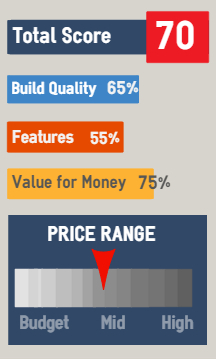 It looks easier to use than the previous version but as yet, we've only had one reviewer try the model with this modification and we're waiting to see if the workout data is more accurate. For the same price you'll get a superior model such as the LifeCore R88, the Avari Magnetic, or one of two water rowers to choose from - the Neptune or Prorower. 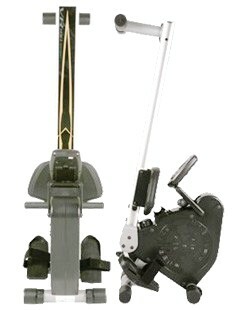 For $100 less you can get the better Kettler Kadett Outrigger. For around $200 extra you get a heck of a lot more with the Concept2 Model D that really does deliver what it promises. "I've had it for almost two months and use it most days. I've rowed on gym machines but this is the first rowing machine I've owned. I guess it's not going to be as good as the ones in the gym but I expected better for the price I paid ($699). But it's still a good machine and I've yet to experience any problems." Do you own a VR100? What do you think?